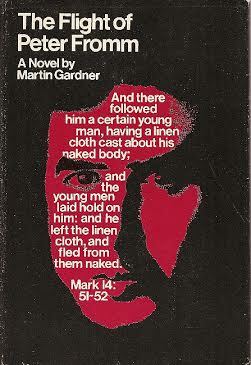 While the great bulk of Martin's output is non-fiction, the first time he received payment for his writing was for several short stories he placed with Esquire magazine in the 1940s, upon leaving the Navy at the end of WWII. As a result, he decided to try making a living as a freelance writer. His second story for Esquire, "The No-Sided Professor"—which he termed his best-known science-fiction yarn—had a topological twist. 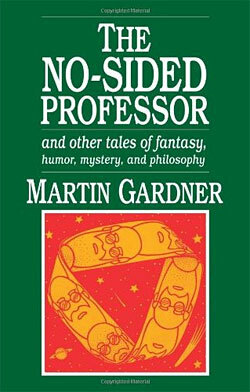 It resurfaced in The No-Sided Professor: and Other Tales of Fantasy, Humor, Mystery, and Philosophy (Prometheus, 1987, 224 pages), which includes most of his Esquire stories, alongside a selection of pieces written much later. "I majored in philosophy at the University of Chicago (class of 1936), having entered the freshman class as a Protestant fundamentalist from Tulsa. I quickly lost my entire faith in Christianity. It was a painful transition that I tried to cover in my semi-autobiographical novel The Flight of Peter Fromm." 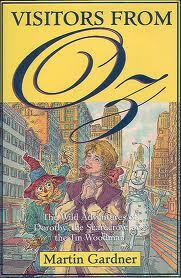 As the 2000 centennial of the publication of L. Frank Baum's The Wonderful Wizard of Oz approached, Martin published an affectionate updated fantasy called Visitors from Oz: The Wild Adventures of Dorothy, the Scarecrow, and the Tin Woodman in the United States (St. Martins, 1998). A summary of this work, which sees Dorothy and friends visit a topologically-challenging earth in a modern age complete with email and Oprah Winfrey, can be found in a Kirkus review. The book reappeared as "Visitors from Oz" (The Battered Silicon Dispatch Box, 2008, 182 pages, illustrated by Laurie Fraser Manifold).